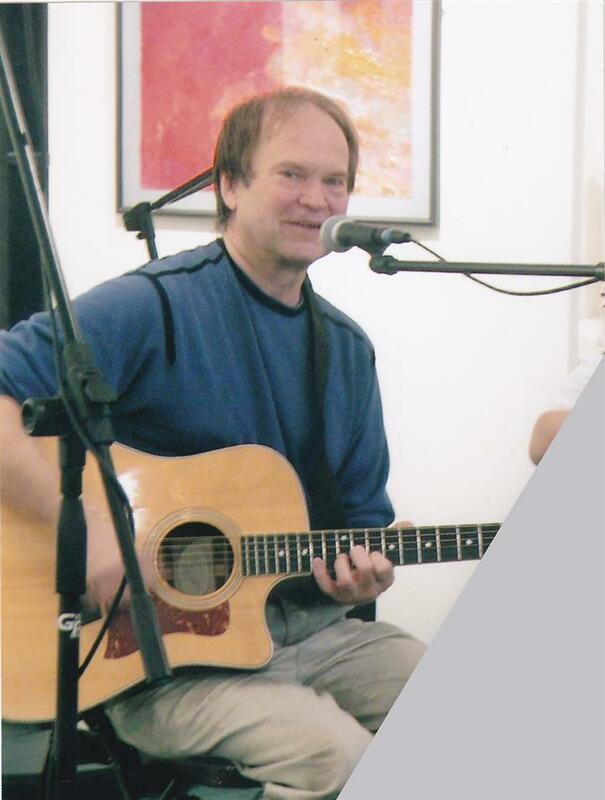 Denny has been a long lasting figure in the Cleveland music scene, and has continued on writing, performing and recording through all of his musical changes, including Light Rock, Gospel, Blues, Jazz Folk, Classical and Theatrical pieces. He now plays mostly as a solo singer songwriter acoustic guitar player and Contemporary Christian worship and praise leader. Denny has taught for many years, from beginners to more advanced student, always specializing in the creative aspect of playing, while teaching students the theory behind the instrument. He has written two books on guitar, one titled “Learn Theory On Guitar In Plain English, and a book that comes with A DVD called “Learn Guitar Chords Fast”. He also taught as a Music teacher in the classroom for two years at Our Lady of Mt Carmel in Wickliffe and also at The Peaceful Children Montessori in Kirtland, as well as adult education at Lakeland and Cuyahoga Community College. Denny is a graduate of St Joseph High School (Now VASJ) and has an Associate of Arts degree from Cuyahoga Community College.